Fr. R.C. 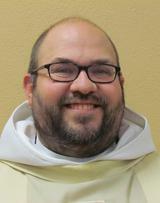 is the rector (senior pastor) of St. John's/San Juan. He came to St. John's in April 2015 on an interim basis, and was began his ministry here as the rector in the summer of 2016. R.C. studied at the General Theological Seminary in New York City, graduating in 2010, and then serving as a curate at the Chuch of the Holy Trinity in the Yorkville neighborhood of Manhattan for two years. He then served as the vicar of St. Luke's Church in Seattle from 2012-2015. Before attending seminary, R.C. was a church musician in Minnesota, and spent a year in the Jesuit Volunteer Corps, where he focused on prison ministry, primarily at the Nashua Street Jail in Boston, Mass. The best way to reach R.C. is email (rc@stjohnsoly.org), or you can call the parish office. Fr. Don started St. John's Hispanic ministry in April, 2004. He continues to lead this ministry today. A native of Western Washington, Father Maddux graduated from Oregon State University and The General Theological Seminary of New York City. After two years at Ascension Parish in Seattle, Father Maddux served two more years in The Church of England. Father Maddux is the founder of St. Matthew's Church in Castle Rock, St. Nicholas Church in Tahuya, St. Hugh's Church in Allyn and St. Germain's in Hoodsport. 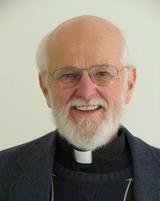 Father Maddux retired after serving many years as the Rector of St. David of Wales Church in Shelton. He and his wife, Carolyn, live in Shelton. 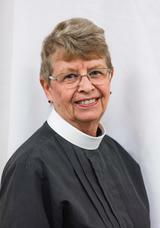 Deacon Terri has been affiliated with St. John's for much of her adult life, and serves as our deacon. She helps lead our Outreach Committee, bringing the needs of the world to the attention of the church, as well as proclaiming the Gospel and setting the table in the liturgy. She can be reached by email at terri@stjohnsoly.org. Fr. Bill is responsible for adult formation at St. John's. He leads our Bible study on Wednesday mornings, as well as our Wednesday Book Club, and coordinates the Forum on Sunday mornings. Fr. 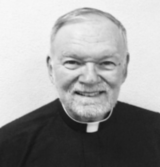 Bill came to St. John's after serving parishes in Los Angeles and Connecticut. His email address is bill@stjohnsoly.org. 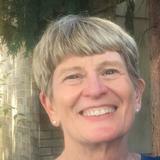 Pam is an intern, learning about how St. John's works as she discerns her personal call to ministry. She is part of the preaching, teaching, and leadership of St. John's, and is currently leading the team that oversees our Catechesis of the Good Shepherd program. Pam can be reached by email at pam@stjohnsoly.org.